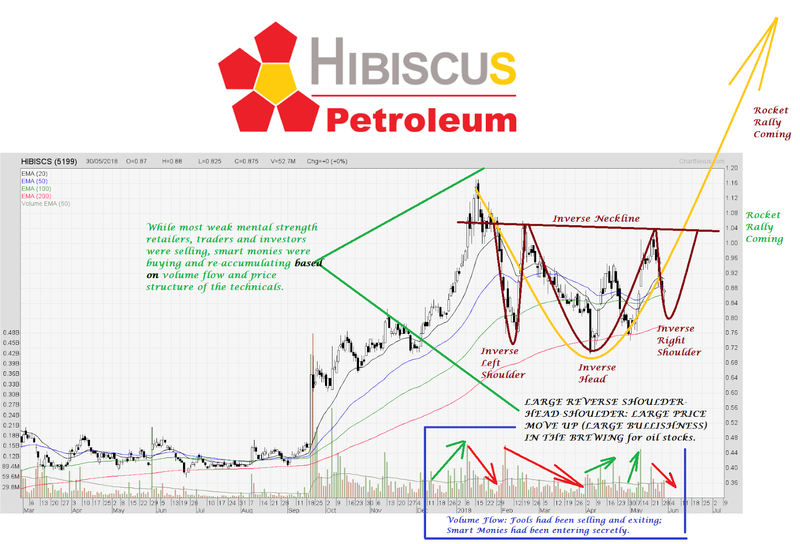 Attached is the Technicals for Hibiscus Petroleum (KLSE: 5199). 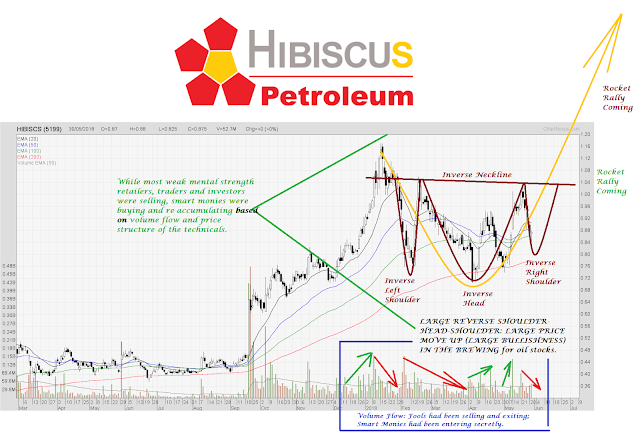 This company from the energy/crude oil sector has been on a massively large re-accumulation using a large Inverse Shoulder-Head-Shoulder price structure. The Inverse Neckline is at around $1.04 area and awaiting for break-up. The orange trajectory is the expected path after an inverse SHS breakout. The volume flow shows that fools had been selling and exiting while Smart Monies had been entering secretly. Next targets projected from the price structure will be $1.50 and $1.70 respectively, before $2.00 will be hit. My Hisbiscus bought at below $0.30 will give me more than +500% milestone. My eventual target is +1000% profits as reiterated in my live trades previously if you had been following me closely.